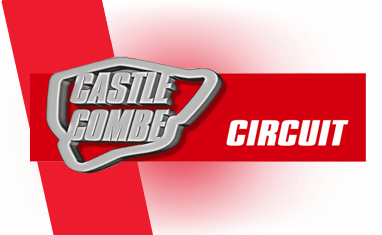 Where is Castle Combe Circuit? Castle Combe Circuit is located in Wiltshire just North of Chippenham with easy access from the M4 Motorway. Castle Combe regularly host motorsport events but also have a dedicated number of days set aside for driving experiences. In 2017 we had 35 dates on the calendar for driving Supercars and Race Cars at Castle Combe and a similar number is planned for 2018. There is an amazing range of Supercars to choose from at Castle Combe including various Lamborghini, Ferrari, Porsche and Aston Martin models. You do have to have a driving licence to have a go in a Supercar at Castle Combe as there is no area for Junior Driving. If you are looking for a rare supercar to drive or want to treat someone to something a bit special then look no further than the 'Platinum' range of Supercars which include a Lamborghini Aventador, Ferrari 458, Audi R8 V10 and an Aston Martin DBS. To finish the experience in style we recommend a passenger ride in Radical SR3, a track day car with breath-taking acceleration, braking and cornering capabilities. If Supercars are not your thing then you can have some great fun on the Castle Combe Rally stage, or if you fancy yourself as a bit of a racing driver then check out the Single Seater experience. All experiences other than the rally take place on the 1.85-mile section of the circuit and guest will enjoy the modern facilities and friendly event staff to make the day even more special. Find available dates for castle combe driving experiences with our live calendar. You too can experience the thrills of Castle Combe in Wiltshire, where such motor racing legends as Sir Stirling Moss and John Surtees have raced. Fast forward a few decades from those glory days of British motorsport and now TrackDays.co.uk is giving you the chance to burn rubber around this former World War II airfield. And our cars are just as capable of providing the thrills and excitement enjoyed by these former racing heroes! We have a fantastic selection of supercars on offer to propel you around the 1.85-mile section of the circuit. These include the mighty Lamborghini Aventador, capable of a mind-blowing top speed of more than 210mph and the equally awesome Ferrari 458 which can go from 0-60mph in under three seconds. Have we whetted your appetite? If not, then we also have the Audi R8 V10 and Aston Martin DBS, among other fantastic supercars, in our arsenal. If you didn’t know, the monster Audi can also break the 200mph barrier. But you needn’t worry about the power and performance of these supercar thoroughbreds as you’ll be alongside one of our trained instructors who will help you make the most of your driving experience in a relaxed and safe environment. Meanwhile, Castle Combe’s purpose-built rally stage presents its own unique challenges. You’ll soon discover that there’s no end to the fun behind the wheel of a Peugeot 106. Head back to the circuit and budding racing drivers who want to emulate their motor racing legends will love the Single Seater experience. However, what’s particularly appealing when visiting Castle Combe is the modern facilities, and even more importantly, the friendly event staff who will go the extra mile to ensure your day at the circuit is one you’ll always remember. Just remember to take plenty of photos of your time at Castle Combe to keep as future mementoes. Located approximately 20 miles from Bristol, Castle Combe is the perfect location to book a driving experience in the south-west of England, also being close to the M4 and M5 motorways.